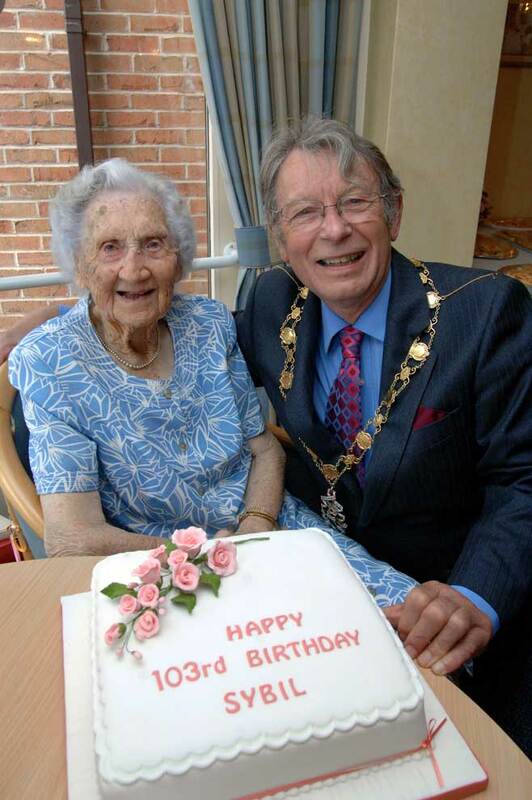 Ponteland's oldest resident celebrated her 103rd birthday with a visit from the Town Mayor. Coun Robin Ramsay and his wife Jean dropped in to Ponteland Manor care home to wish Sybil Harvey many happy returns with a bouquet of flowers. The centegenarian enjoyed a birthday party organised by staff at the home with friends and her only child, daughter Jill. The great-grandmother of seven, who hails originally from West Sussex, has lived through two world wars and seen five monarchs and 20 Prime Ministers since she was born back in 1907 in Bognor Regis – the year the farmland Darras Hall estate was built on was purchased. Sybil, who went to school in Chichester, was married to municipal engineer George in 1935. They lived in North London and Dartmoor, where George worked as borough engineer and surveyor. They were married for over 40 years until his death in 1976. She retired to West Sussex, where her interests included golf, bridge and working with the WRVS. Sybil moved to Ponteland in her centenary year to be near Jill, who lives in Darras Road. She said: "My mother had a lovely day – she certainly enjoyed it. It was extremely kind of Robin and his wife to come along. The flowers they brought were amazing, and have been divided into four vases and displayed around the home. "She has had an interesting life, with lots of friends and lots of things to do and would no doubt put her long life down to good living and taking care of herself." Coun Ramsay said: "This is one of the loveliest parts of being Mayor, joining in celebrations like this. Sybil must be the oldest person in Ponteland and was in great spirits. We were delighted to be there at Sybil's party and help her mark the occasion." Sybil Harvey is pictured at her 103rd birthday party with Town Mayor Robin Ramsay.